Autoco: everything for your car. We offer a full car service, driven by quality. Smash repairs, general mechanical, auto electrical, no matter what your car needs, we offer you experienced specialists in every field. Bring your car to us for absolutely anything and receive outstanding customer service and a wealth of experience and knowledge gained over 27 years of experience. Receive quick, efficient service, no matter what the problem is. 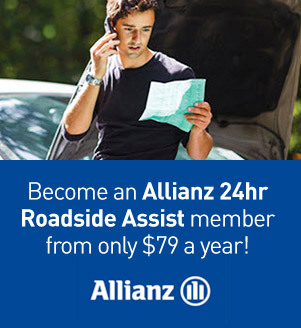 Our comprehensive range of repairs and services is unique in Canberra and you’ll be back on the road in no time. Visit us at one of our three convenient locations in Phillip, Belconnen and Tuggeranong. Let us convince you: seven reasons why coming to Autoco is the best thing you can do for your car. Our staff are more than just good general technicians, they are specialists. We know a business is only as good as its people and are proud to invest in the development and skills of our team. You can be sure your repairs, car service or body work will be of the highest standard, completed by experts. At Autoco, we put your interests first, and we get it right the first time so your time is never wasted. We offer you relevant information, advice you can trust, follow-up service and competitive prices. Our quote-first policy ensures you know exactly where you stand and if additional work is required we get your permission first. No unexpected bills or nasty surprises at pick up time. Regular servicing of your car is vital to its performance and helps to prevent nasty surprises. To keep your car in peak condition we recommend regular servicing. We can schedule your repairs for your convenience and budget requirements, and keep your car in excellent condition on the road. Our customer manager will keep you informed of decisions concerning pricing of your job, your payment options and the resolution of any issues. We encourage our customers to have direct contact with the person doing the job because the technicians are the experts and they know the right questions to ask. The first hand information they receive from you equips them to accurately assess what your car needs. At Autoco you will experience a clean and open reception area. You might want to enjoy a free coffee in our lounge while we bring your car around. A state of the art compute system assists us in maintaining excellent, accurate records on your service history, allowing us to be proactive in offering you service solutions. No matter what’s wrong with your car, we can fix it at Autoco, your one stop shop. Our workshops use the latest technology in scanning and diagnostic equipment and body repair systems. We have after hours surveillance and back to base alarms. Come and enjoy the benefits of our cutting edge technology and professional service. And if it can be recycled, we do. We fully support recycling of any waste products. Autoco is proudly Canberra owned and operated. We have been expanding throughout the region over the past two decades, originating in Phillip and now in Tuggeranong and Belconnen. This makes it easy for you to receive our services as one of our workshops is never far away. Are you interested in working for Autoco? See our Careers or Contact us and tell us about yourself.